First up today are a few of our Elf on the Shelf antics from this week. On Monday we caught Buddy and his reindeer friends repelling from the big tree to the small one on our buffet table. Wednesday, he was making snow angels in a pile of sugar. Some slobbery fingers found the sugar before I snapped a pic. This may just be my FAVORITE Christmas memory from this year. The joy was palpable. Next up, Griffin has sported some of my FAVORITE outfits this week. I will never forget the day I picked up this leopard coat at Old Navy. I had JUST found out that GG was a girl and I popped in to pick up some things for the boys and found this on sale. I grabbed it, paid, walked out to my car and bawled. I WAS HAVING A GIRL!!! 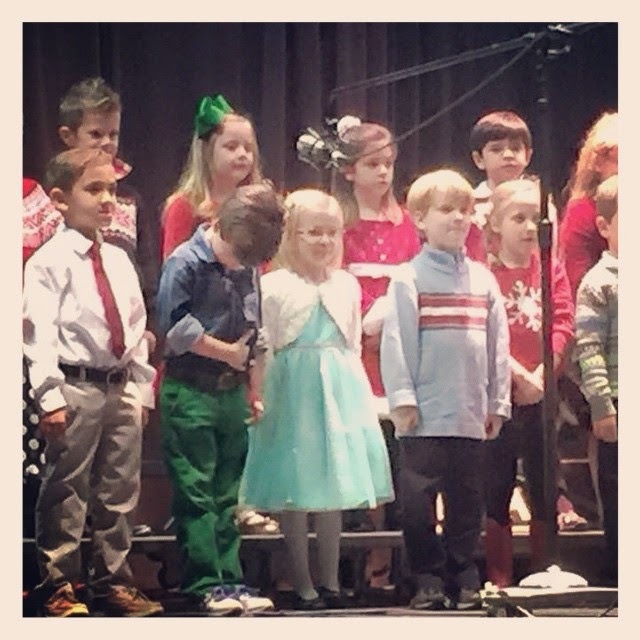 She sported this festive rainy day ensemble on Wednesday and I may have squealed when Dave texted me the picture. I typically lay her clothes out at night and then Dave gets her dressed in the morning. 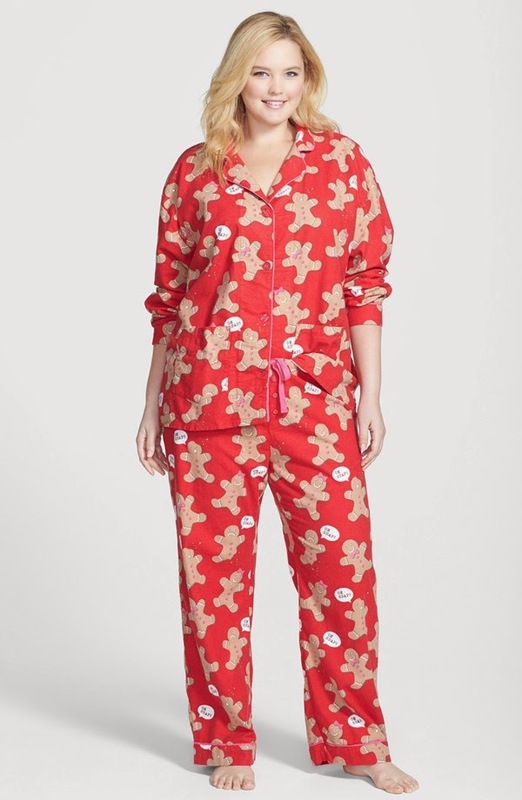 I've had my pjs for several years, but if you're looking for something cozy and fun, here are some cute options!!! This weekend is sure to be full of even more of my FAVORITES - relaxing and pjs mixed with wrapping presents, looking at Christmas lights and a trip to the Gaylord! I'm also meeting one of my favorite soon-to-be-mamas for breakfast and hopefully doing a bunch of baking! YAY!!! Don't forget - grab our graphic, link back to one (or all) of us and share your Friday Favorites!!! PS - This post contains affiliate links, which just means that if you click on a link and purchase what I've linked to, I'll receive a commission. Thank you for reading and for supporting my blog! Love y'all! The bow might be MY favorite moment from this week! What a ham!!!!! I'm pretty sure this is the last year for the elf at our house. My kids don't care about it at all. Even when we do big things, they're bored with him. I hate that it's the end of a "little kid" tradition. Luke at his program is hilarious!!! Love that he bowed. Hahaha! I LOVE Luke's boldness and how cute he is singing into that dang microphone! I think all girl moms have a leopard coat type meltdown moment, at least I did! Have a great weekend Andrea and a fab two weeks with those precious babes of yours! I love, love her pink Hunter boots and her pink headband! Your mimi made my day again, Pink Hunter boots!!! YAY!! The pink and green on Griffin ! Precious! The way you dress Griffin is the best! Now can you please come pick my outfits out? :) Have lovely weekend, gal! p.s. All of your family posts get me super excited for a family of my own! First of all...ENJOY! 2 weeks off with those adorable kiddos sounds fantastic! At this point I am just hoping the 3 of us can be healthy at the same time and stay that way for the holidays! Luke is adorable singing! And that bow! Oh my! So cute! Such a cute post! Luke is hilarious and I love everything Griffin is wearing! You are so creative with Elf on the Shelf! Love the TPing! :) Griffin is too cute in her leopard print!